WOW! 2015 S60 for only $21,980. Local accident and claim free S60 T6 AWD. 300 Hp 6-Cylinder engine. Technology,Climate and BLIS (Blind Spot Information System) packages. Just serviced including coolant flush,brake fluid flush,new air filter and cabin filters. As part of the Jim Pattison Auto Group,it comes with our Owner Protection Plan. This provides you with reassurance when you purchase a pre-owned automobile from the Jim Pattison Auto Group. It includes a comprehensive mechanical & safety inspection,full CarProof report,30 day powertrain warranty,14 day Owner Exchange Program and lien free guarantee. Local Vancouver accident free S60 T5 All Wheel Drive. Bright silver metallic on Off-Black leather. Sunroof,Bluetooth with streaming capability,Rear parking camera,Heated seats,Power drivers seat,Integrated 7'' color display,rain sensing wipers,Corner traction control (torque vectoring) LED daytime running lights,aluminum inlays. BLIS Package: Blind spot information system,Cross traffic alert,Lane change merge aid,Front and rear park assist. As part of the Jim Pattison Auto Group,it comes with our Owner Protection Plan. This provides you with reassurance when you purchase a pre-owned automobile from the Jim Pattison Auto Group. It includes a comprehensive mechanical & safety inspection,full CarProof report,30 day powertrain warranty,14 day Owner Exchange Program and lien free guarantee. FINAL CLEARANCE PRICE! Local accident and claim free 1 owner XC90 T6 AWD. Momentum plus package,Climate package,Charcoal headliner and bumper cover. Standard features includes all wheel drive,Navigation,Power tailgate,Power driver and passenger seats,Panoramic sunroof and more. BONUS: New tires all around. As part of the Jim Pattison Auto Group,it comes with our Owner Protection Plan. 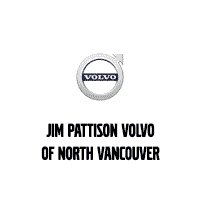 This provides you with reassurance when you purchase a pre-owned automobile from the Jim Pattison Auto Group. It includes a comprehensive mechanical & safety inspection,full CarProof report,30 day powertrain warranty,14 day Owner Exchange Program and lien free guarantee. CLEARANCE PRICE! Local low mileage XC90 with no accidents or claims. All packages (Vision,Climate,Convenience) and all stand alone options selected. Including the 19 speaker 1400W Bowers & Wilkins sound system,Air suspension and 21 inch wheels. As part of the Jim Pattison Auto Group,it comes with our Owner Protection Plan. This provides you with reassurance when you purchase a pre-owned automobile from the Jim Pattison Auto Group. It includes a comprehensive mechanical & safety inspection,full CarProof report,30 day powertrain warranty,14 day Owner Exchange Program and lien free guarantee. Accident and claim free 2019 XC90 T6 AWD. Save $10,000 over MSRP ($84,955 + Fees + Tax) Osmium grey metallic on Charcoal leather interior. Premier package,Premier Plus package,Bowers & Wilkins 19 speaker 1400W sound system and more. As part of the Jim Pattison Auto Group,it comes with our Owner Protection Plan. This provides you with reassurance when you purchase a pre-owned automobile from the Jim Pattison Auto Group. It includes a comprehensive mechanical & safety inspection,full CarProof report,30 day powertrain warranty,14 day Owner Exchange Program and lien free guarantee.